Eric Says: "I really appreciate creative concepts behind sneakers and Nike Skateboarding is king in this department. 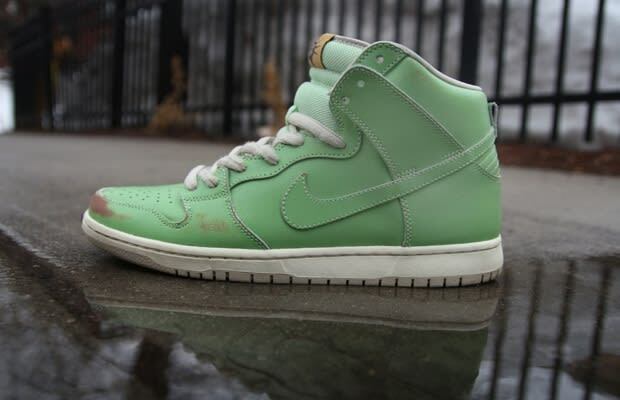 The Liberty Dunks come with an oxidized copper appearance, and when skated, the original copper color shows through. This shoe is probably sold out as I'm typing this."